TOSLINK, (Toshiba Link), is a standard, optical fibre, fiber, digital, audio interface. It is widely used in consumer audio equipment like CD players, DVD players, television set-top boxes, games consoles, computers and audio-visual receivers. Using a light transmitter, the optical cord works as a carrier to deliver digital audio signals, (left and right channel or multichannel). Lead terminals conform to the EIAJ/JEITA rectangular standard CP-1201 and also RC-5720 and JIS C5974-1993 F05 standards for digital audio interfaces including fibre-optical fiber-optical interconnections. 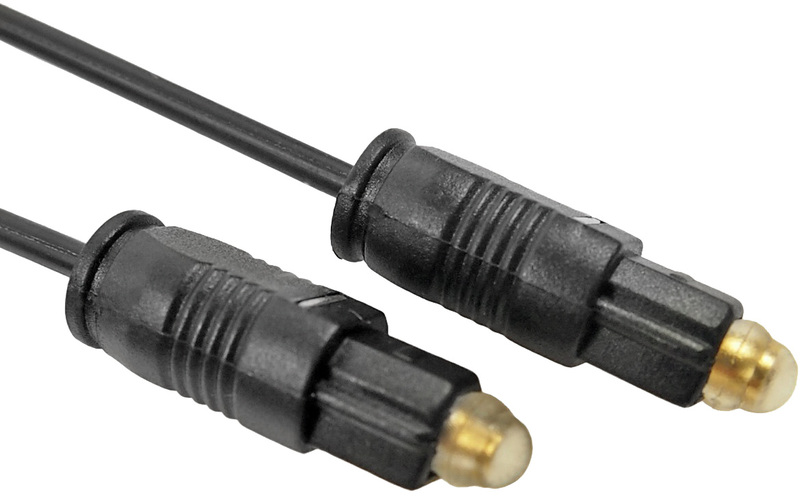 Our TOSLINK cables use a plastic optical fiber (POF) audio jumper. The core is PMMA with a common standard diameter of 1.0mm. The numerical aperture (NA) is 0.5. The jacket is flame-retardant PVC with an outside diameter of 2.2mm, 4.0mm, 5.0mm or 6.0mm. Total cable length is usually less than 10 metres. meters. For technical specifications please see the PDF data sheet TOSLINK Optical Audio Data Cables (opens in a new window). Please also see our optical transmitter and receiver jacks. High speed transmission of data. Data player, DVD, CD player. Cladding diameter: 2.2mm - 8.0mm. 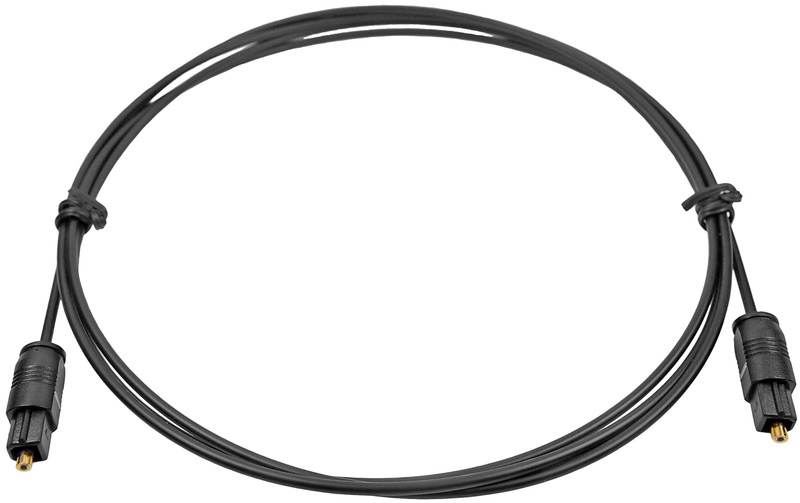 FM65015 TOSLINK optical standard 1.5m. FM65025 TOSLINK optical standard 2.5m. FM65115 TOSLINK optical gold 1.5m. FM65125 TOSLINK optical gold 2.5m. 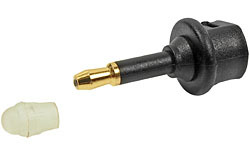 FM65010 3.5mm optical jack adapter. TOSLINK is a registered trademark of Toshiba Corporation.